Francis W. Parker School is about to embark on a $5 million library renovation. LINCOLN PARK — Francis W. Park School is about to embark on an ambitious $5 million library renovation. According to the school, last year Trung Le of Wonder, By Design worked with administrators, librarians, teachers and board members to arrive at a new design for the library, with an emphasis on adaptability given the ever-shifting state of technology. "It became apparent that in order to meet the students' curricular needs and interests, the school must more broadly consider what was necessary to create ideal learning experiences," the school said in a release. The entire library, but especially the Technology, Innovation, Design Thinking and Entrepreneurship "TIDES garage," was reconsidered "with mobility in mind." Last week, the school obtained a building permit from the city for the first $2.5 million in work on what's planned to be a $5 million project. That includes an open-air porch known as "the Cloud," designed as "an outdoor reading area ... created to allow learners to engage in learning experiences that benefit from fresh air and direct sunlight." It's part of other nooks and potentially closed-off areas to provide spaces for "quiet reflection as well as loud collaboration." Construction is expected to be completed before the beginning of the new school year in the fall. 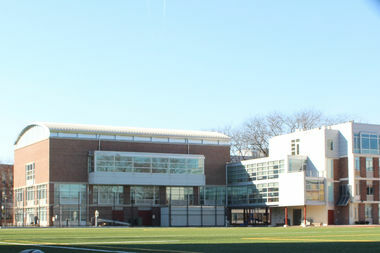 Parker, at 330 W. Webster Ave., is considered one of the city's most prestigious private schools.